Dracula co-creator Mark Gatiss (Doctor Who, Sherlock) is joining the UK series, which stars Claes Bang. The telemovies are inspired by Bram Stoker’s classic novel and co-written with Steven Moffat (Doctor Who, Sherlock), a co-production between BBC One and Netflix. Also joining the cast are John Heffernan (Collateral, The Crown), Joanna Scanlan (Hold The Sunset, No Offence), Dolly Wells (Can You Ever Forgive Me, 45 Years), Morfydd Clark (His Dark Materials, Patrick Melrose) and Lujza Richter (Phantom Thread). “I’m running out of childhood dreams to come true. And what a delight to join this fantastic cast. 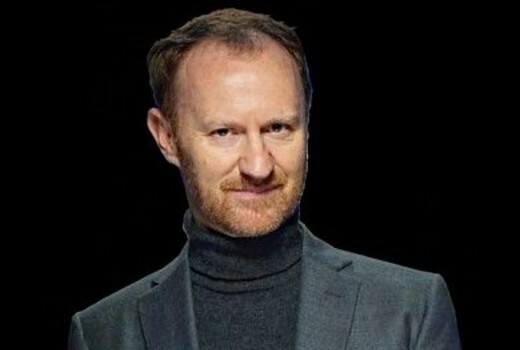 The children of the night!” says Gatiss. The series will begin filming in coming months and screen in Australia on Netflix.